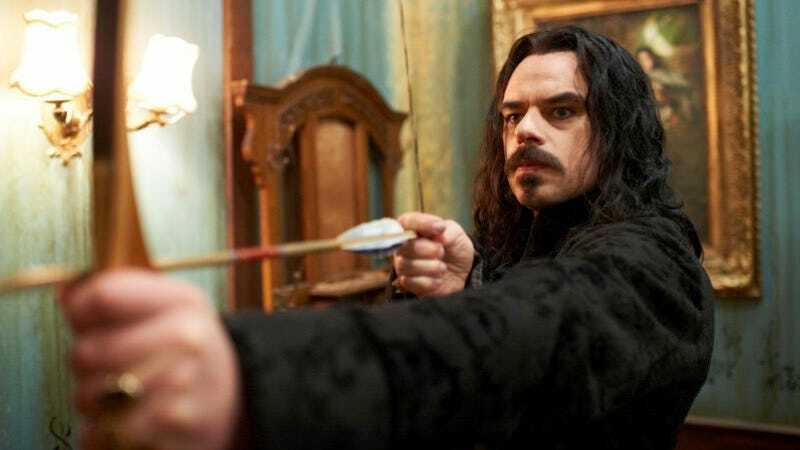 What We Do in the Shadows is the only vampire mock-doc the world will ever need, because it is hilarious, raunchy, and perfectly self-aware. The werewolf-themed sequel (genius title: We’re Wolves) is percolating, and now the rumored TV spin-off is confirmed. But don’t get too excited about the latter just yet. The six-episode TV series will be made in New Zealand, the home country of Shadows co-directors Jemaine Clement and Taika Waititi, for New Zealand TV. So there’s no guarantee it’ll be available for viewing elsewhere, though there’s a solid chance the popularity of the original film—and the magic of the internet—will ensure that Shadows fans in other parts of the world will be able to check it out, too. Let’s hope that’s the case, because the show sounds like a lot of fun. It’s called Paranormal Event Response Unit, and it’s styled as a presumably Cops-like reality show that follows the two police officers from the film, Mike and Karen, as they investigate supernatural disturbances.